You may have just upgraded to the new iOS 12 but something very unusual is happening to your iPhone. Randomly some of your apps are getting deleted or they are uninstalling themselves. If you are experiencing this, then don't worry it is not serious. 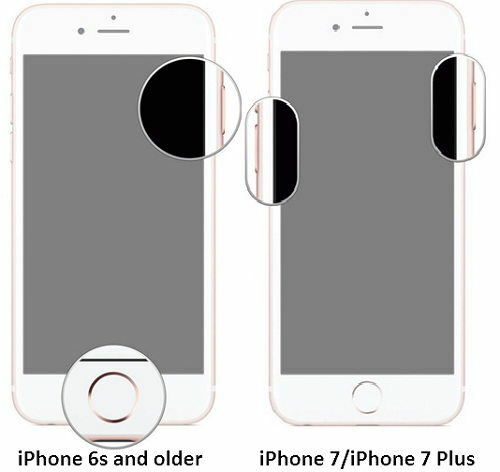 It is a new feature added by Apple and is typically called offloading. It was added in iOS 11 itself and what it does is simple! It deletes certain unused apps to save storage space. But there are certain bugs on iOS 12 which leads to iOS 12/12.1 automatically delete apps irrespective of usage patterns. And that's why we are here to troubleshoot this problem. Follow this detailed guide to solve the issue right away. Apple introduced a brand new feature with iOS 11 called "Offload Unused Apps", and the feature continued to the new iOS 12. This feature automatically deletes your iPhone apps if they haven't been used in a while. It is true that this feature deletes apps but the app icons will still be available on your iPhone and even the app's data will not be deleted. This feature is very useful if you have to immediately empty some space on your iPhone. What's surprising is that most of the users do not even remember activating this app. Offload app is not a default; you have to manually enable it to turn on the feature. But you certainly know that you haven't actually enabled such a feature, so, maybe when you updated to the new iOS 12, it may have turned on. So, when the iOS 12 delete apps, you need to be certain and check if the Offload is turned on. 2. Then, go to General and tap on iPhone Storage. 3. Select an app that you want to remove. 4. In the next screen, you will see the option to Offload it. 5. Tap on it and then again to Offload the app. 2. Tap on General and then choose iTunes and App Store. 3. Now, you will see Offload Unused Apps, if it is Green then it is turned on. 4. Tap on it to deactivate. This way you will disable the automatic feature so that it does not randomly start deleting apps. Actually, this is a very normal issue, maybe your iPhone was out of space and provided you with several options, one of them was Offloading and you have selected that option without reading the description. This can be a reason when you are out of space your iPhone keeps uninstalling apps. Alternatively, there can be bugs too which yields to the same result and that is quite expected from a Beta version. You can always downgrade iOS 12 to iOS 11 if there are too many issues on this version. 2. Launch it and connect the both your iPhone and computer together with USB. 3. Wait for detection, then choose the "Repair Operating System" option from the main interface. 4. Tap "Download" to download the latest firmware package to your computer automatically. 5. After downloaded, hit the "Start Repair" button to kick-start repairing. 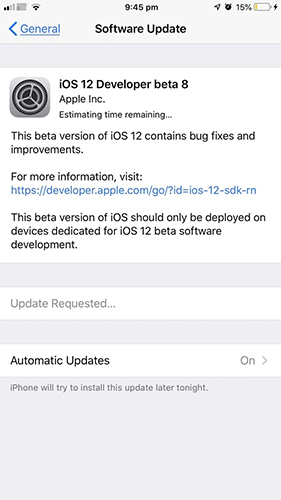 This will remove iOS 12 Beta from your iPhone and downgrade it to the latest public iOS 11 system. Hopefully, this will solve the issue right away and will also solve all your system bug problems. It was very considerate of Apple to have introduced such a feature, unfortunately, the sudden activation of the feature has certainly shocked a few users but it only deletes the app, not the data. So, once the users download the app again, they will be able to use it. Although, this feature has caused a lot of trouble still it hasn't failed to impress a few users. Most people are deactivating the automatic delete option but not the actual feature so that it does not delete app/apps randomly. But when the user needs it they will be able to erase any app they want, manually. A few users have complained that even after disabling iOS 12 Offload Unused Apps, things are getting deleted, this is a bug problem of the OS, and you can use Tenorshare ReiBoot to fix it as guided above. The software is potent and extremely effective as well. Go for it!